Libby, our beloved family pet and best friend passed away at home in her sleep the morning of April 1, 2019. 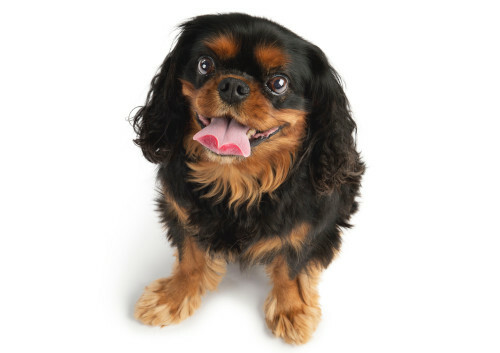 She was a spunky and sassy nine-year-old black-and-tan Cavalier King Charlesbeauty. Libby had many hobbies and interests. She enjoyed running after her puppy brother Luke in the yard, cornering her feline brother Link in the house and cleaning up whatever food her human brother Truman dropped on the floor. She was a proud 17-pound guard dog who delighted in barking at the door in anticipation of the pizza delivery man (to an uncanny rate of success) as well as protecting her home from other potential threats including the train, the mailman, neighbors and general passers-by. She took every opportunity she could to sunbathe on the patio in the spring and summer and eat snow in the winter, even creating little snow caves through her efforts. Libby enjoyed many kisses and belly rubs, going to work with Dad, 4 a.m. cuddles with Mom, napping on the back of the couch, hiding under furniture and playing with her favorite plush friends: pig toy, alien toy, lobster toy and countless others that she would strut with through the house. But most of all she loved her daddy. He was her number one – the person she loved the most, and the person who loved her the most. No matter what trouble she was up to, Libby could reduce us to smiles in under a second with her signature head tilt. She snored like a truck driver and was as headstrong in her pursuit of treats as she was adorable. Libby was a model dog at the vet and groomer, a clever student, a loyal friend and a lifelong companion to her family. The world’s a little less sunny without her sweet puppy face, but though the pain of losing her is unbearable, it doesn’t compare to never having had her in our lives at all. Libby taught us that life’s too short to be anything but ourselves, to drink in the fresh air and sunshine, and to steal a cuddle with those you love whenever possible. Thank you for the too-short years of spontaneous joy and unconditional love, Peanut. You’re such a good girl and we will love you and miss you forever.